In the last three years from 2014 to 2017, we have witnessed an acceleration of merger and acquisition activity relative to machine vision, either at image sensor or camera level. Among the latest examples of this trend are the acquisitions of Point Grey by Flir for $215 million in 2016, and of e2v by Teledyne for $790 million in 2017. Other notable acquisitions are Cmosis bought by Ams for $235 million in 2016 and, a little earlier in 2014, the consolidation by On Semi of Aptina for $400 million and Truesense for $90 million. Most recently, private equity firm Lakesight has aggregated machine vision camera makers Tattile, Microtron and Chromasens. The total amount spent approached $1.7 billion. Over the same period, mega deals have been signed in markets adjacent to machine vision, in automotive, security and medical vision. The elephant in the room is the $15 billion purchase of Mobileye by Intel in 2017. Yet another major deal is the $6 billion acquisition of Toshiba Medical by Canon in 2016, and the $2.8 billion acquisition of Axis by Canon in 2015. So, one might wonder if all this M&A activity is sustainable, or are the machine vision deals just a side effect? Is there room for more deals in the near future or will we have to wait a few years before the next round? First, we should look at the machine vision sensor level ecosystem that has been totally transformed by a technology revolution: the shift from CCD to CMOS. The M&A wave for machine vision sensors is totally related to this shift and although this affected other markets years ago, such as consumer image sensors in the 1990s and photography sensors in the early 2000s, it is only 20 years later that the shift from CCD to CMOS technology is reaching the high end of the image sensor market. The main direct consequence for companies selling high-cost, low-volume products is the inability to invest in or sustain manufacturing facilities that require high output because of the large fixed cost. The entry cost to CMOS image sensor (CIS) foundries has been far too high for previous vertically integrated CCD players. Therefore, all (except perhaps Sony) have evolved into the fabless business model adapted to high-end specialty products. We have witnessed the emergence of dedicated foundries such as TPSCo, Dongbu Hitek and SMIC, which recently acquired LFoundry assets. This has been accompanied by the creation of numerous design houses such as Forza, Luxima, Pyxalis, Caeleste, GPixel, Brillnics to name a few. These design houses are able to deliver custom products to OEM specifications. The entities are sometimes purchased by their main foundry partner, as happened with Siliconfile, which was bought by SK Hynix in 2014 when it decided to become a significant player in consumer CIS. As this type of M&A is rather rare, this might not be the source of activity in the near future. For the source of future M&A, one should rather look toward the decent number of machine vision sensor technology start-ups, companies like Softkinetic, which was purchased by Sony in 2015, and Mesa, which was acquired by Ams, in 2014. There are a certain number of interesting start-ups right now, such as PMD, Chronocam, Fastree3D, SensL, Syonix, and Invisage. Beyond the start-ups, and from a global perspective, there is little room for a greater number of deals at sensor level, because almost all players have recently been subject to M&A. Looking at the machine vision camera level, the potential for increased M&A activity is probably higher. One can observe that a similar impact of the underlying technology change is taking place at camera level. When Sony announced the end of CCD deliveries by 2025, it was a wake-up call for many camera players. This might have been the key event in 2015 which ignited machine vision camera manufacturer reorganisation. It is also interesting to notice that the reorganisation among American players was structured along technology horizontals (Cognex, Flir, Teledyne, Intel), whereas in Europe, this reorganisation has been structured along market horizontals (Allied Vision, Ifm, Lakesight), and in Japan, companies have been surprisingly willing to make overseas acquisitions (TDK, Canon, Sony) beyond their traditional market and technology backyard. Technology transformation at sensor level is facilitating transformations at the camera level. CIS technology has greatly simplified camera design which tends toward commoditisation. At the same time, advanced machine vision software techniques are being introduced, and mastering embedded vision technologies has become a key part of the business. Machine vision camera players are experiencing Industry 4.0 transformation and have to reinvent their business model. From the verticality of the previous paradigm, the new ecosystem is splitting up the value chain. Machine vision players are faced with a threefold choice: either becoming a component or module manufacturer; a technology platform provider; or a service or system-level provider. 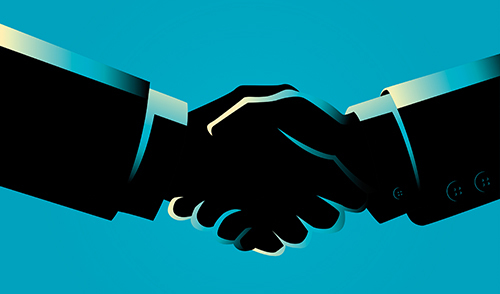 Recent M&As have played around those lines and there is no reason for this to end suddenly. If we look more deeply into the dynamics of the market, it is mainly driven by global automation, a $140 billion market growing 6 per cent CAGR. This growth rate is increasing, mainly thanks to Chinese efforts in the field. While dynamics are also rather good in other parts of the world, this is driven by new application cases, mostly outside of the factory. This translates into a growth rate of 9 per cent CAGR at machine vision camera level. Vision will become increasingly pervasive in automation. Firms centred on new non-industrial applications are being aggregated to existing companies, and those new application cases usually require new technologies. There is a virtuous circle of market and technology, well rounded by financing capabilities. A few domains are currently in the spotlight, including smart transport systems, agriculture and the medical field. In terms of technology, the fusion of different imaging modalities, such as infrared (Flir, Teledyne Dalsa), 3D imaging (Allied Vision, Teledyne e2v,) and lidar (Hexagon, Konica Minolta) is becoming common place. M&A is the main solution for existing players to sell into the different emerging markets and technologies. The incoming wave of new ideas shows no sign of stopping, multispectral imaging demonstrated by companies like Cubert or Parrot is an ongoing trend, and event-based cameras, demonstrated by Chronocam and Insightness serving autonomous machines, is another direction. The key question of integrating deep learning techniques is a concern for many players and multiple solutions are being brought to the table. There will be no sudden end to M&A in the machine vision sector. Pierre Cambou joined the imaging industry in 1999. Following an engineering degree from Université de Technologie de Compiègne in parallel to a master of science from Virginia Tech in 1998, as well as graduating from Grenoble Ecole de Management’s MBA, Cambou took several positions at Thomson TCS, which became Atmel Grenoble in 2001 and e2v Semiconductors in 2006. In 2012 he founded Vence Innovation, now called Irlynx, in order to bring to market a disruptive man-to-machine interaction technology. He joined market research and strategy consulting company Yole Développement as imaging activity leader in 2014. 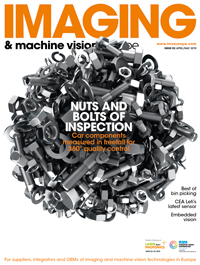 There is plenty of merger and acquisition activity in the machine vision market at the moment, a testament to the strength of the vision sector.